In Jordan Peele’s horror movie “Us,” Adelaide Wilson confronted a darker side of herself. As the setting for the film, Santa Cruz had to do the same. Filming “Us” brought over $1 million to Santa Cruz’s economy, said Christina Glynn, communications director for Visit Santa Cruz County. The popularity of “Us” — which made over $70 million its opening weekend — brought the city incredible publicity. This has both attracted and repelled tourists. Some fear the film will expose those chilling undertones. 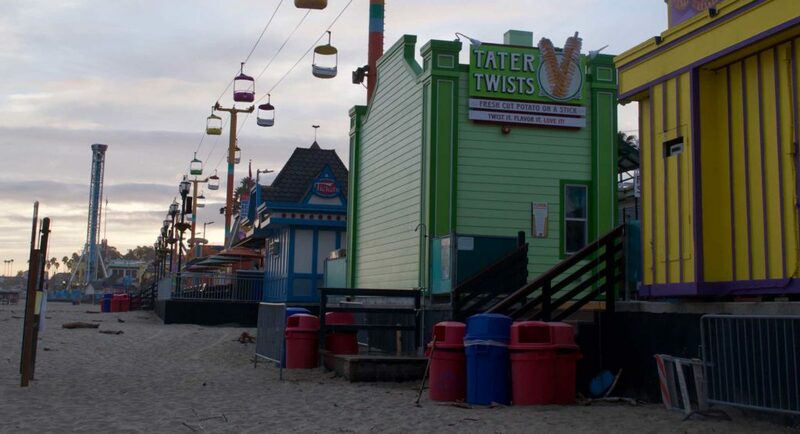 Isabel, a UCSC second-year and Santa Cruz Beach Boardwalk employee who declined to provide a last name, decided not to watch “Us” for fear it could affect her ability to do her job without feeling scared. Some who saw the blood-curdling scenes at the Boardwalk walked away less inclined to visit. The film’s popularity shows some people enjoy being frightened. The week following the release of “Us,” the Boardwalk’s Haunted Castle and the Fright Walk ride saw a spike in the number of visitors, said Boardwalk spokesman Kris Reyes. Christina Glynn believes the film’s darkness contrasts with the sunny city, which highlights the positive aspects of Santa Cruz, connecting this to the eerie “Tethered” in the movie. Regardless of the fear factor, Glynn believes the prominence of Santa Cruz in the movie adds to the intrigue of the city as a tourist destination. Just being in a movie brings more attention to Santa Cruz. Even Adams, a Santa Cruz resident, drove around West Cliff with her roommate after the film’s release to try to figure out where scenes were filmed. The city’s fame is nothing new. “Us” is just one of several popular movies filmed in Santa Cruz, including the 1980s horror movie “The Lost Boys,” which drove movie-based tourism for years, Glynn said.